Tea cart model nr. PB31 designed by Cees Braakman for UMS Pastoe, 1950. Tea trolley or rolo. 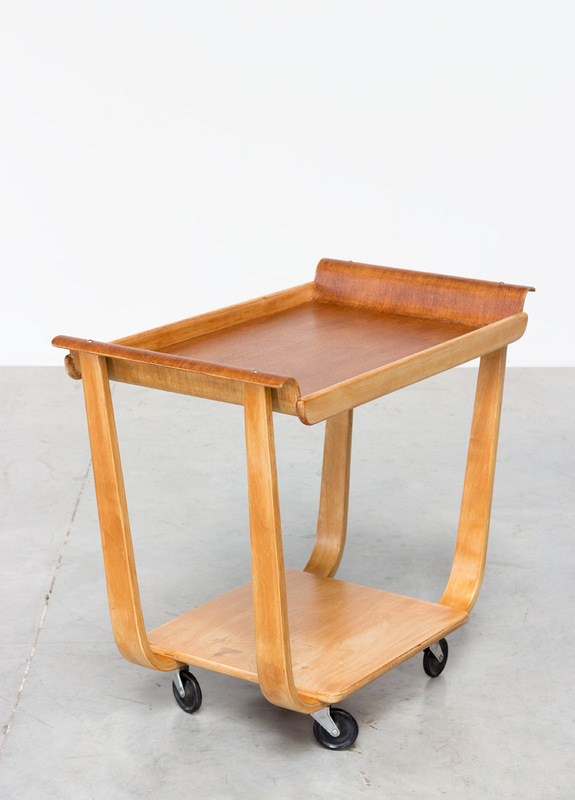 4 bakelite wheels, square base with curved wood (birch wood) elegant arms and teak plywood tray. Desserte a thé modèle PB31 conçu par Cees Braakman pour UMS Pastoe, 1950. 4 roues en Bakélite, basse carrée, bois de bouleau courbe et plateau en teck.